Want to strengthen your skill and knowledge in the most popular front-end technologies and frameworks? Join GDG Lauro de Freitas for in-depth discussions among experts and enthusiasts, taking place October 20, 8:30am - 12:30pm. 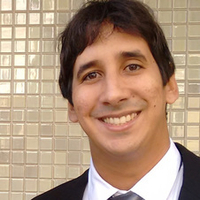 Flávio Escobar, Toptal developer, will be one of the event speakers. His talk titled “The Path of the Digital Nomad - From CLT to an International Career” starts at 9:00 am. Your message to Flavio was sent.